Most South Africans rate their health as very good or above average, but underestimate their life expectancy. Most have also not thought about dementia or Alzheimer’s, or started planning to protect themselves from the impact of this disease in old age. 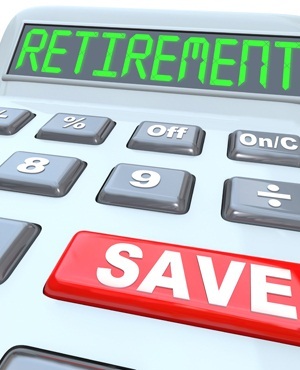 This is according to Just Retirement Insights, independent research commissioned by Just, in which South Africans between the ages of 55 and 85 years in the major metropolitan areas were interviewed. “These research results are concerning, considering the prevalence of dementia and Alzheimer’s,” says Bjorn Ladewig, longevity actuary at Just. “Worldwide, around 50 million people have dementia, with nearly 60% living in low and middle income countries. Every year, there are nearly 10 million new cases. The World Health Organisation recognises dementia as a public health priority that is on the increase with no cure in sight,” says Ladewig. He says the increase in dementia highlights the need to make the right provisions in retirement. Although the Just survey shows that more South Africans are thinking about their life expectancy now when choosing how to apply their retirement savings than they did in 2015, females were not aware that they could and most probably would outlive their male counterparts. When males and females were asked what age they thought they would live to, males said 83 on average, and females said 79 on average. In reality the opposite is true. In post-retirement a woman’s life expectancy is three to four years longer than a man’s. The total life expectancy for a male at age 65 is 83 and for a female is 87. Therefore, Ladewig emphasises that early financial planning should form part of the solution, especially since research suggests that approximately three-quarters of people with dementia have not been diagnosed. This means poor financial decisions could be made by people who are already impaired by dementia. According to Ladewig, South African legislation is inadequate for dementia and Alzheimer’s sufferers. He says South Africa does not recognise an enduring power of attorney that would still be effective when someone becomes mentally incapacitated and is no longer able to manage their own financial affairs due to, for example, dementia or Alzheimer’s disease. Ladewig says it is, therefore, important not only to consider the financial implications of these diseases, but to ensure that the necessary structures are in place to deal with it from a retirement planning point of view. Currently, most retirees purchase a living annuity, which requires them to decide how to invest their money depending on how long they are likely to live. They will need to decide how much income their surviving spouse will need after they die, and how much to draw as income each year. “It is important, therefore, that people who have invested in living annuities consider protecting themselves against the potential implications of dementia,” says Ladewig. He proposes a combination of a guaranteed lifetime income to cover basic living expenses and essential care for life, and a living annuity to invest any additional retirement savings.